As an epidemiologist, Dr. Wael Al-Delaimy had devoted his career to understanding risk factors that contribute to chronic disease. Then one day, he received a simple pencil drawing by a traumatized 9-year-old Iraqi boy. It had been sent to him by his brother, who is also a professor of public health in their native country of Iraq. With no available expertise in the region, his brother had mailed the picture to Al-Delaimy seeking help from a child psychiatrist in California. “The drawing depicts the day the boy witnessed three gunmen killing his father in front of him, and the image has always stayed with me,” said Al-Delaimy, professor and chief of the division of global health in the School of Medicine’s Department of Family Medicine and Public Health. Having lived through two wars in Iraq and seen the destruction and impact on human lives, Al-Delaimy could easily understand and identify with the trauma of war and its effects upon the boy. “The sketch gave me the drive to pursue research and training to help those suffering from mental illnesses, especially from war trauma in less developed countries,” he said. Armed with this new charge, he refocused his epidemiology work on the epidemic of mental illness spreading throughout displaced populations around the globe. 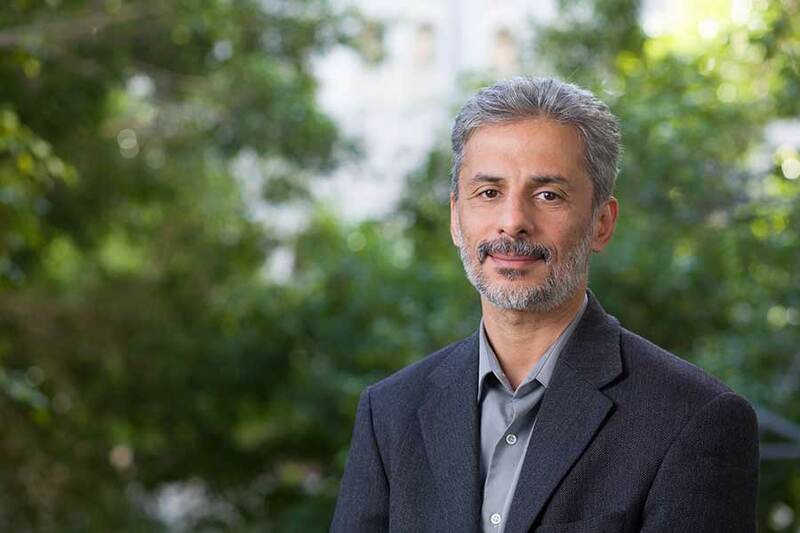 Al-Delaimy began locally, working with refugees arriving in San Diego from his native Iraq and neighboring countries in the Middle East, such as Syria and Somalia. In a study of 198 Somali mother and child refugee pairs, he and colleagues Patricia L. East and Sheila Gahagan in the Department of Pediatrics found that trauma experienced from war is indirectly transmitted from mothers to children— even if the children were born in the United States and had never directly experienced the conflict. The Journal of Immigrant and Minority Health published these results earlier this year. “After this study, I wanted a mechanism to formalize and highlight the important area of global mental health,” Al-Delaimy said. This led to UC San Diego launching the Global Mental Health Initiative (GHMI). Directed by Al-Delaimy, and in collaboration with three other universities, GHMI’s mission is to advance the recognition, prevention and care of mental illnesses. The initiative is specifically focused on Arab countries and refugees disproportionally affected by war, related trauma and other risk factors. Al-Delaimy participating in panel discussion comprised of a constitutional Jordanian judge, the Head of the Parliament Committee on Human Rights (Jordan), a political science professor and a psychiatrist. Jordan was of particular interest to Al-Delaimy and team because of its severe shortage of psychiatrists: roughly .51 psychiatrists per 100,000 Jordanians compared to 12.4 psychiatrists per 100,000 Americans, and it largest per-capita number of refugees in the world. GHMI is now delivering special training workshops to prepare Jordanian primary care physicians to treat mental illnesses in their clinics. During their first conference and workshop on mental health in 2016, Al-Delaimy and colleagues launched their initiative, bringing together stakeholders concerned with refugee mental health. Partners attending the event included the United Nations High Commissioner for Refugees, International Medical Corps, Jordanian Ministry of Health, World Health Organization, United Relief Work Agency, local academics and other interested groups. 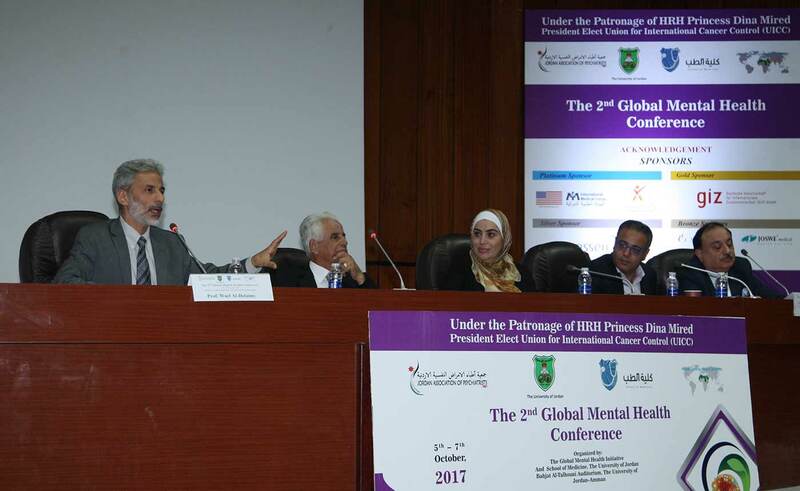 In October 2017, Al-Delaimy helped organize a second conference on global mental health hosted by the University of Jordan. The conference, he said, was hugely successful and included medical students and faculty. “Conferences like the one held in October are helping to overcome the public stigma against mental illness, even among physicians and medical students,” he said. The event ended with a panel discussion consisting of Al-Delaimy, a constitutional Jordanian judge, the Head of the Parliament Committee on Human Rights (Jordan), a political science professor and a psychiatrist discussing the next steps for implementation of mental health legislation in Jordan. Following the conference, Al-Delaimy and GMHI faculty conducted an intensive seven-day workshop for Jordanian primary care physicians covering topics such as how to detect common child and adult mental illnesses and how to treat conditions at the clinic level through various therapies. Training with these physicians will continue via online coursework, with a certificate upon completion. The effort is funded by the Jordanian Ministry of Health and supported by other mental health organizations in the region. Its goal is to train every primary care physician in the country, and, eventually, nurses and other health care providers to further fill the gap in mental health care. Participants at the 2nd Global Mental Health Conference in Jordan. Traditionally, in both developed and developing countries, mental illness has received less attention than other physical disease burdens, such as diabetes or cancer. This is not surprising given that mental illness, especially less severe forms of anxiety, post-traumatic stress disorder and depression, don’t always manifest physically or with specific biomarkers of diagnosis similar to other chronic diseases. The World Health Organization has endorsed the motto of, “no health without mental health” to draw attention to the importance of mental illnesses. Often there are few or no physical indications of psychological disease. As a result, individuals and communities may not believe treatment is necessary. If a community member is feeling sad, anxious or depressed, it might be dismissed or attributed to spiritual factors. Treatment is delayed until the condition becomes problematic. Compounding the issue: Stigmas persist. If professional help is sought, treatment is often conducted in secret by the families of those affected.